i love me some sci fi novels. the kind with pictures of ships and knights on the front. now, i know i'm not the only one. and i know i'm not as deeply entrenched as other enthusiasts i've met. for one, i don't go to comicon. those white pants were real nice. i love getting lost in nerdy books. 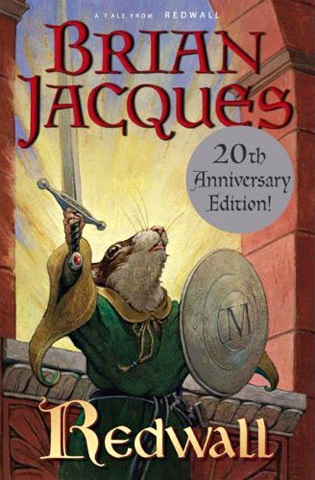 it all started when i devoured the redwall series as a child. you'll seriously be my hero if you've read it too. i love the camaraderie of finding another geeky reader. it gives me insight into a person's soul, it sure does! the downside of such novels? like, the books themselves are ginormous. it can double as a cinder block. how do you tote that thing around discretely? and will it fit nicely on my bookshelf with my collection of YA fiction, children's lit and contemporary novels? answer: no. no it won't. i recently discovered that you can get bona fide lockers built in your home. i never had a locker in high school. i always felt like i was missing something, since i'm pretty sure there was a pivotal locker scene in every high school chick flick...ever. ...except my "pivotal scene" may have been the type where the lead girl gets hit in the face by a locker, given my track record. i think my high school had too many students to fit lockers anywhere. plus i think there was some mass conspiracy to screw up all our young spines with heavy backpacks and thus garner money from scoliosis treatment and sales of rolly backpacks. ok i didn't really think that. but i still want a locker in my bedroom. it'll look real nice with my countryshabbyrusticfluffernutter dresser, right? what are your secret literary passions? I read comic books. After fighting it for years, I have decided I love them. Marvel/DC-I don't care! it definitely sounds like we would! he sounds like a cool kid. I just counted. I own 7 Redwall books. Also, if you want a wonderful fantasy series, I highly recommend the Sevenwaters Trilogy by Juliet Marillier. Have you read it? The first one is Daughter of the Forest, and they are spectacular, particularly the first two. The third was kind of meh. Also, I am currently reading The Hero of Ages by Brandon Sanderson, which is the third book in the Mistborn trilogy, which I did NOT think I would like, but am LOVING (it was a recommendation from my husband. If you want to talk about nerdy readers, OH MY GOSH. He is the one. But I digress). Have you read David Eddings? 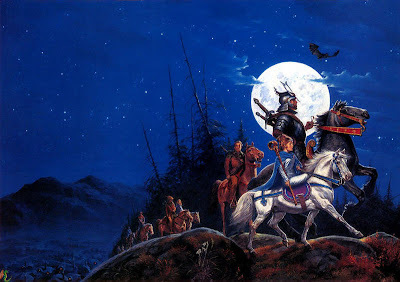 His Belgariad series. Those are really good. But! Have you read this? If you have not, you must. You absolutely, positively must. I cried once because it was sad, but I also cried once because a passage was so movingly BEAUTIFUL. I literally had tears streaming down my cheeks because the situation and the words used to describe it were so perfect and touching. I am making myself want to go read this book again. It is amazing. Rothfuss has a WAY with words. Um, longest comment ever. Sorry. I can't believe I'm posting this publicly. I read every redwall book when I was in middle school, and you have just made me want to read them alllll over again.